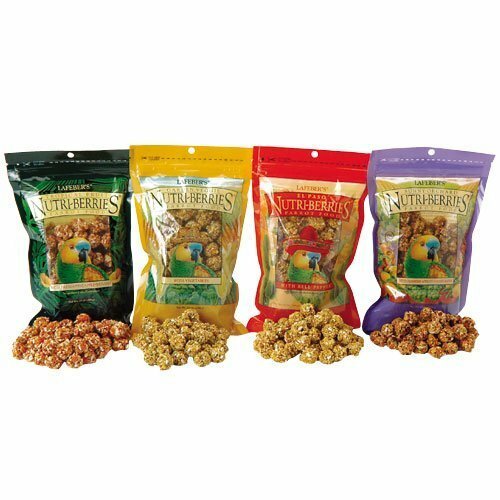 Give your bird a new exciting food flavor every day with this variety pack of Lafeber's Nutri-Berries. There is nothing boring about this selection. It includes one of each; Sunny Orchard, El Paso, Garden Veggie and Tropical Fruit to delight your bird's taste buds each and every day. Each Nutri-Berries flavor offers complete nutrition for your bird and is Omega 3 & 6 balanced to support your bird's immune system and promote healthy skin and feathers. Made in USA.